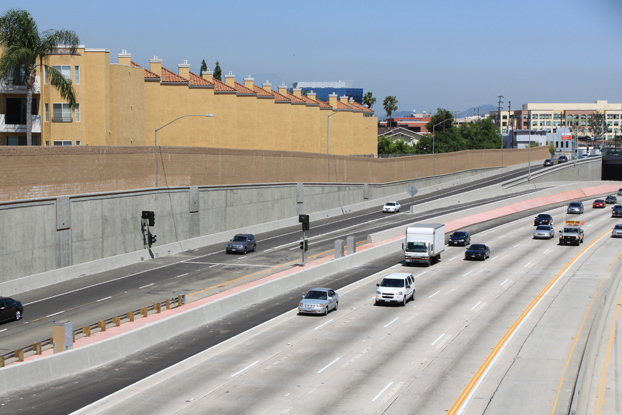 Located in the bustling Media District of Burbank which is home to numerous motion picture and television studios, the SR-134 Project is a crucial improvement for local access to the freeway system. 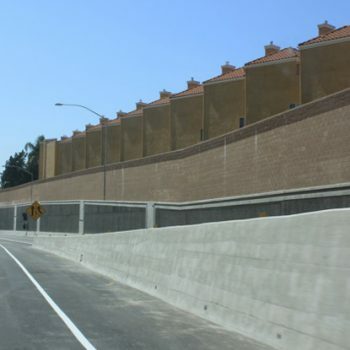 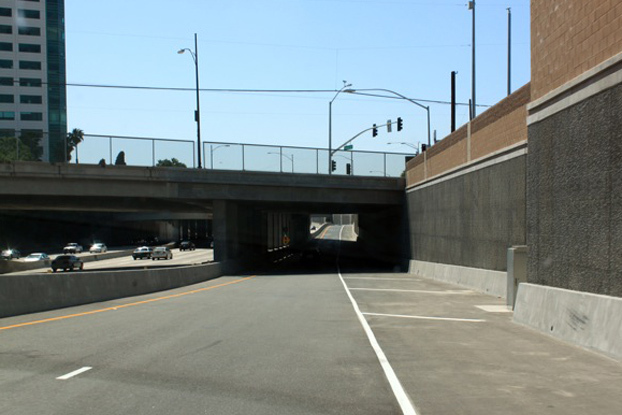 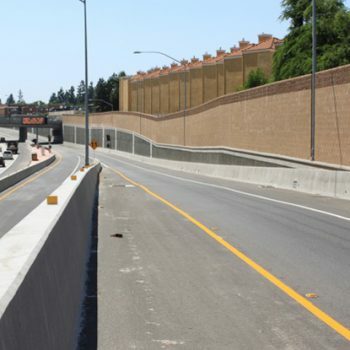 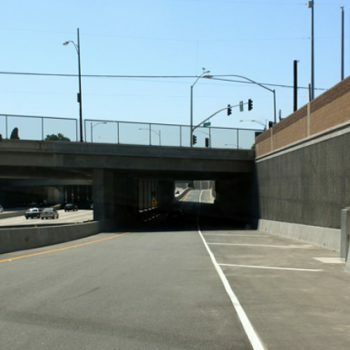 Griffith Company constructed a half mile of new retaining walls to widen and realign on-ramps for Hollywood Way, Pass Ave and Alameda Ave. To accommodate the new ramps our structure crews lengthened three separate bridges- a first in the State. 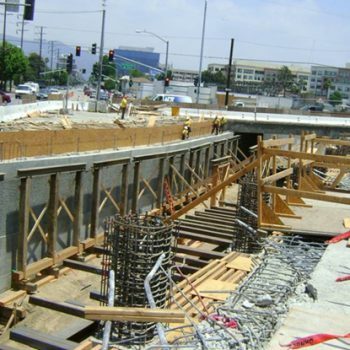 The bridge lengthening process required shoring the bridges, removing the abutments, constructing new abutments and bents, and pouring a new deck. 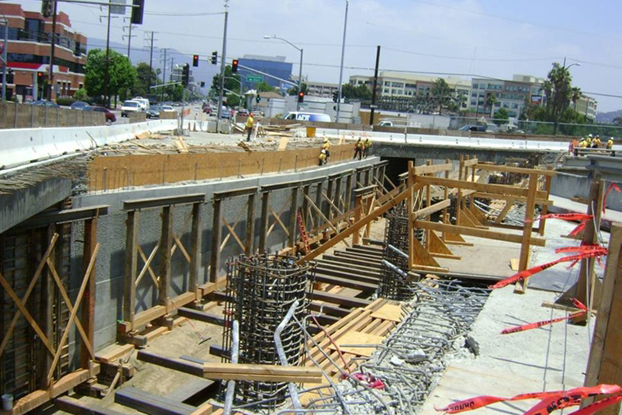 At Hollywood Way the abutments and bents were constructed, the deck built on grade and the dirt excavated from under the bridge adjacent to live freeway traffic. 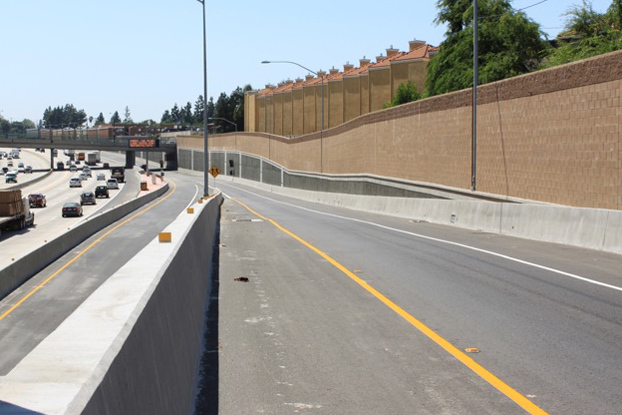 Griffith Company used our field know-how to combine traffic phases and make up time lost to utility delays and keep the project on schedule. 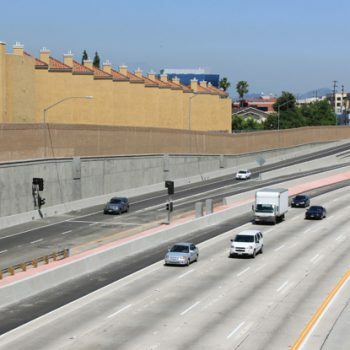 Our efforts of working closely with the Caltrans team, the City of Burbank and other stakeholders while attending to the needs of local business have garnered the Caltrans Excellence in Partnering Award- Silver Level. 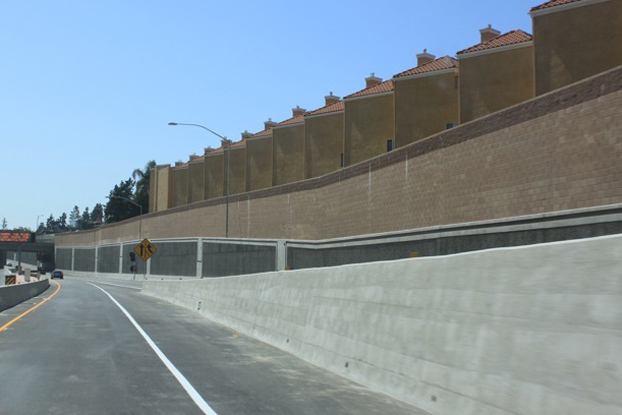 Once again, Griffith Company has enhanced the lives of residents and commuters by freeing congestion and increasing access to the freeways.